Alfonso Rutherford Berry III—son of a city councilman, grandson of the state’s first African American legislator—believes that history has ordained for him but one life, and it ain’t his first love: dancing. But after a series of tragedies, starting with the death of his fierce, out cousin Carlton, his assumptions explode in his face along with his closet door. Alfonso emerges into the life on a blanket of the jazz and blues he shared with Carlton. He hangs on Carver Street, the queer Northside of his largely black neighborhood. There, he is befriended by Carlton’s familiars: Sammy, a local storekeeper and neighborhood den mother, Bingo, a leather queen and nurse practitioner, Vera, a transgender activist and photographer, and Charlotte, his father’s political rival. At college, he becomes tight with two freshmen: Roy, an aspiring actor and acquaintance from high school and Bill, a new member of his church. He also finds love (and peril) in the form of Jameel, a long-time crush. His new life sets him on a collision course with his father, his church, and the family legacy established by his revered late grandfather. Written in taut prose steeped in history and current events—and seasoned with the blues—Sin Against the Race follows the coming-of-age journey of a young black gay man as he progresses from an invisible councilman’s son to a formidable presence in his community. 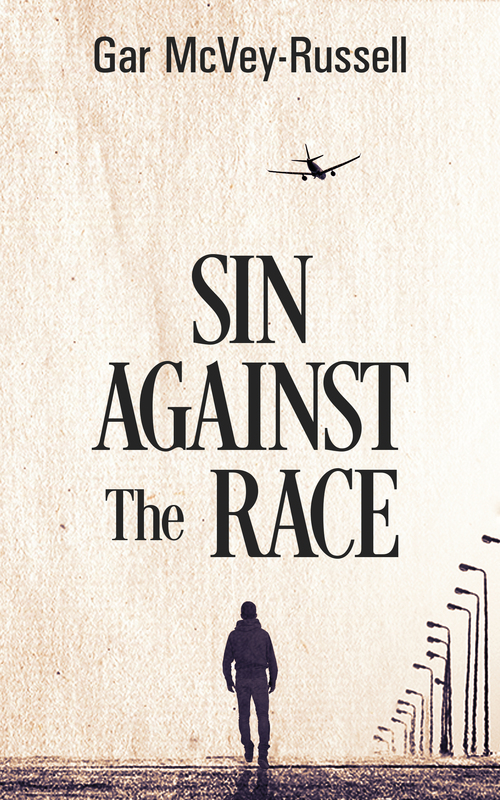 Find more posts and information about Sin Against the Race here. Continue to gar spot home page.